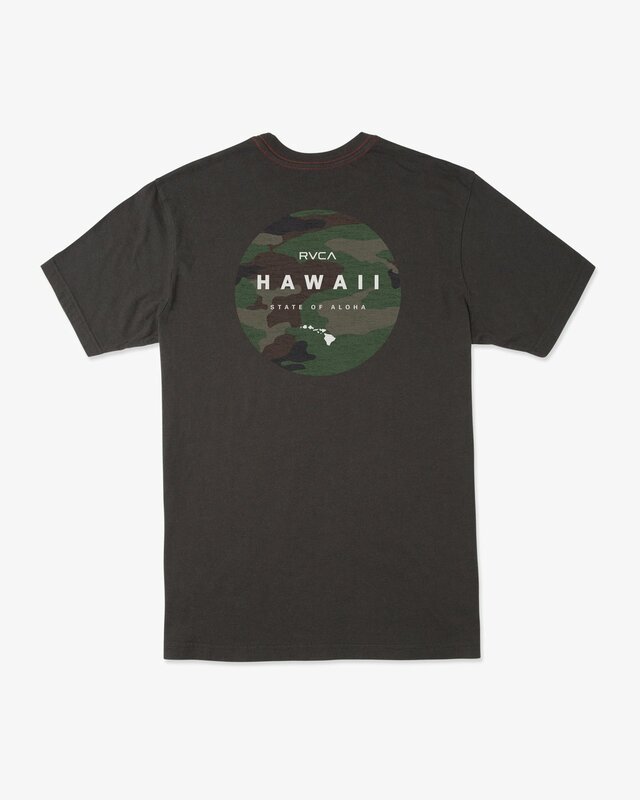 Represent well in Da Aina Sphere SS tee by RVCA. 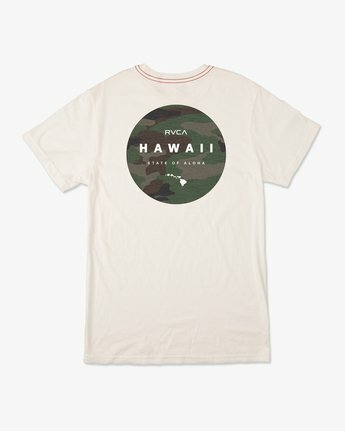 Specialized Hawaii-based screenprinting appears on the front and back of this standard fit tee. A washed body and screened inside neck label means exceptional lived-in comfort.